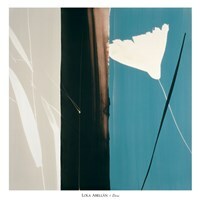 Artist Lola Abellán was born in Barcelona. As a child, she often visited an amusement park on a mountain near her hometown. According to her family, her favorite view was the view from that mountain, and the family believes that view influenced the particular way in which she understands the world and its shapes. In 1975, Lola began her art studies at Massana School in Barcelona, and she continued her professional studies at the Escuela de Artes y Oficios also in Barcelona, where she graduated. 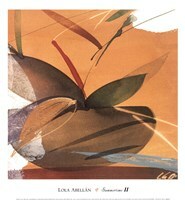 After her graduation, she embarked on her work as a professional artist. 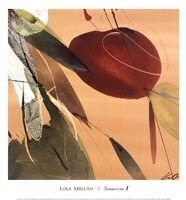 Her work has been exhibited in art galleries and fairs in different countries and she has participated in many contests and events, where she has achieved many awards, including the medal of the Generalitat of Barcelona. 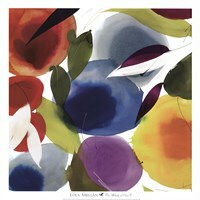 Her favorite themes are organic forms, floral, living things and fruits. She’s inspired by movement and by nature, always natural in all their shapes and forms. She says that her goal is to recreate that universe, that natural gesture and look which evokes rest and order in our souls when we look at it. The style of her work is a synthesis of a reality taken to the limit, combining sweetness with intensity, delicacy with strength. 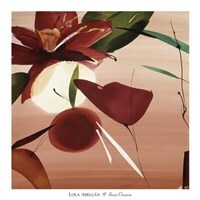 Lola takes her predominantly floral themes to extremes of magnitude and simplicity. She says the balance in her works can be found in the schematization of shapes. 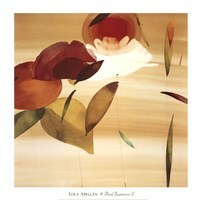 Her art adorns the walls of many prestigious galleries, institutions, and homes across the globe.